Situated in Soissons, this hotel is within 2 mi (3 km) of Abbaye de St-Jean-des-Vignes, Soissons Cathedral, and Musée de Soissons. Fort de Condé is 9 mi (14.5 km) away. Situated in Soissons, this hotel is within a 10-minute walk of Abbaye de St-Jean-des-Vignes and Soissons Cathedral. Musée de Soissons is 0.8 mi (1.3 km) away. Soissons Station is 21 minutes by foot. Situated in a shopping district, this hotel is within 2 mi (3 km) of Abbaye de St-Jean-des-Vignes, Soissons Cathedral, and Musée de Soissons. Fort de Condé is 9 mi (14.5 km) away. Situated in Soissons, this hotel is within 2 mi (3 km) of Abbaye de St-Jean-des-Vignes, Soissons Cathedral, and Musée de Soissons. Fort de Condé is 9.1 mi (14.7 km) away. Soissons Station is 28 minutes by foot. How Much is a Hotel Room in Soissons? Hotels in Soissons start at $32 per night. Prices and availability subject to change. Additional terms may apply. Are you researching the best way to spend an adventurous few days in Aisne? Through Travelocity's reservation page, you'll find a small range of places to catch some sleep in Soissons. The city center and surrounds of Soissons is home to 5 well regarded lodgings within a 6-mile (10-kilometer) distance. 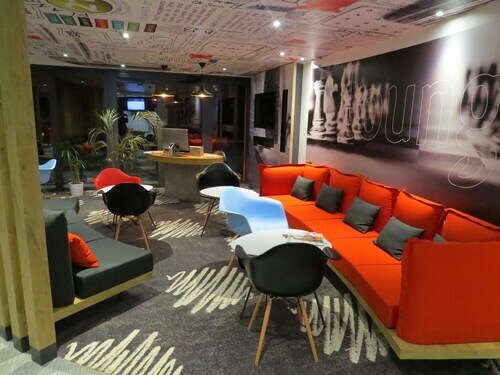 The Best Western Plus Hotel des Francs is a favourite Travelocity-listed accommodation option because it's located so conveniently to Soissons. Travelocity's accommodation database contains only a handful of economical lodging options in Soissons. The Premiere Classe Soissons is one of them. 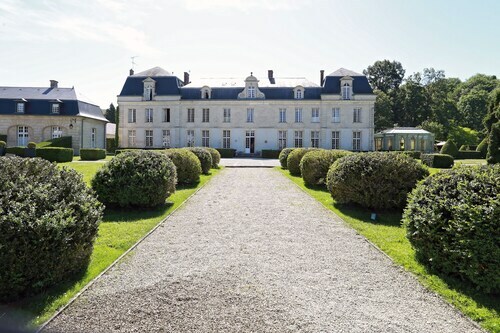 The Relais & Châteaux, Château de Courcelles can be found 11 miles (18 kilometers) away from the town center of Soissons. Another place to stay is the Château de Fère, which is about 14 miles (23 kilometers) away. Some more alternatives in the vicinity include the Château de Quesmy as well as the Hotel Campanile Soissons. The larger Picardy district is well worth visiting too. Visit Picardy's castles, traditional villages and old towns and also fall in love with its rural landscapes. In this corner of France adventurous travelers may also enjoy horse riding. 19 miles (30 kilometers) away from Soissons, you will find Laon, where you can spend a few hours exploring Musee de Laon and Notre-Dame de Laon. 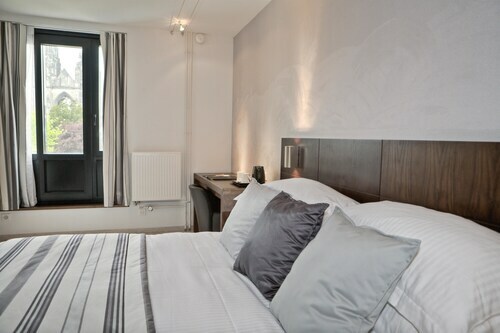 The Citotel Hostellerie Saint Vincent and Hotel Campanile Laon are some of the hotel choices in Laon. Or, stay the night in Saint-Quentin, 30 miles (52 kilometers) to the north of Soissons, where you'll find the Le Grand Hotel and Campanile Saint Quentin. The Butterfly Museum and Saint Quentin Basilica are a couple of the more popular attractions to get to know while in Saint-Quentin. Just because you are having a getaway, shouldn't mean you can't fuel your love of sporting events. You will find Stade de France 55 miles (86 kilometers) to the southwest of Soissons. Those hoping to find a Travelocity-listed room close by will love the Hotel Particulier Montmartre or the Design Hotel Secret de Paris. For modern travelers planning on arriving or departing through Roissy-Charles de Gaulle Airport, you might plan to book a Travelocity-listed room at Sheraton Paris Airport Hotel & Conference Centre, or Hilton Paris Charles de Gaulle Airport, which are both conveniently close. The chateau and the grounds are beautiful and very traditional. The staff is marvelous! Only issue was how hot our room was. Not sure if the air had not yet been turned on for the season or if there was none. They gave us a fan. Also, no elevator, but the staff brought our bags up. We got the multi course menu for dinner and it was excellent, including each course's presentation. We would definitely recommend a stay here.